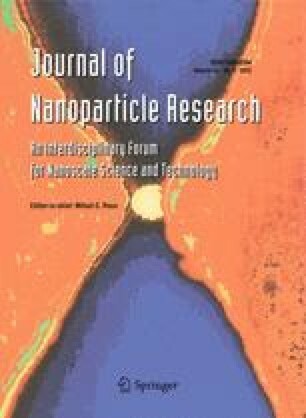 ZnO nanostructures, including nanowires, nanorods, and nanoneedles, have been deposited on GaAs substrates by the two-step chemical bath synthesis. It was demonstrated that the O2-plasma treatment of GaAs substrates prior to the sol–gel deposition of seed layers was essential to conformally grow the nanostructures instead of 2D ZnO bunches and grains on the seed layers. Via adjusting the growth time and concentration of precursors, nanostructures with different average diameter (26–225 nm), length (0.98–2.29 μm), and density (1.9–15.3 × 109 cm−2) can be obtained. To the best of our knowledge, this is the first demonstration of ZnO nanostructure arrays grown on GaAs substrates by the two-step chemical bath synthesis. As an anti-reflection layer on GaAs-based solar cells, the array of ZnO nanoneedles with an average diameter of 125 nm, a moderate length of 2.29 μm, and the distribution density of 9.8 × 109 cm−2 has increased the power conversion efficiency from 7.3 to 12.2 %, corresponding to a 67 % improvement. The authors are grateful to the National Science Council of the Republic of China, Taiwan, for funding this research under contract no. NSC 100-2221-E-143-005-MY2 and the LED Lighting Research Center of NCKU for the assistance of device characterization.